The shortlist for the Alan Paton Award for non-fiction has been announced! The winner, who will receive R100,000, will be announced on Saturday, June 24. 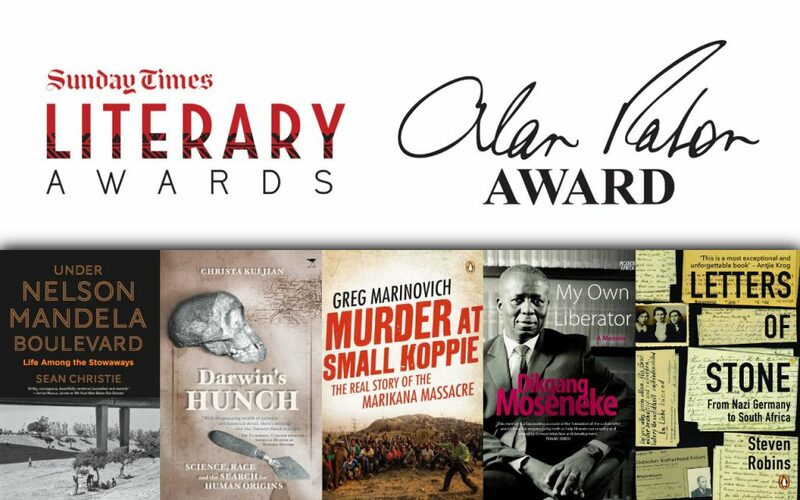 The Alan Paton Award is part of the Sunday Times Literary Awards, the other award being the Barry Ronge Fiction Prize – see the shortlist for that award here! Click on the link above for more.